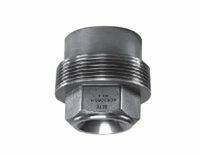 Scrubber nozzles are used to remove pollutants and other chemical contaminants from process gases, liquids, and equipment. Scrubbers can remove sulphur oxides (SOx) from boiler exhaust in coal fired power plants, nitrous oxides (NOx) from combustion streams, acids from chemical processing off gases, disinfectants from drinking water, particulates from process gas, and odours from water water treatment plants among many other potential uses. In dry scrubbing, a much smaller amount of scrubbing fluid is sprayed into the gas flow than in a corresponding wet scrubber system. The intent of a dry scrubbing system is to limit the volume of fluid injected so that the liquid component evaporates completely, leaving either a gaseous or solid component that will react with the contaminant and allow it to be removed from the system. These systems are frequently used to remove acid gases from combustion streams through injection of an alkaline slurry. For example, in coal power plants, a lime slurry will be sprayed into boiler exhaust to remove sulphur oxides (SOx). The flue gas is hot enough and the slurry is sprayed finely enough to fully evaporate while reacting with the flue gases to neutralise the acid and form solid particulates that can be more easily removed from the exhaust gas. When fossil fuels are utilised in combustion processes to run boilers, furnaces, or other equipment they have the potential to release SO2 or SO3 as part of the exhaust gas. These sulphur oxides react easily with other elements to form harmful compound such as sulfuric acid and have the potential to negatively affect human health and the environment. Due to these potential effects, control of this compound in flue gases is an essential part of coal fired power plants and other industrial applications. Due to erosion, plugging, and build-up concerns, one of the most reliable systems to control these emissions is an open-tower wet flue gas desulphurisation (FGD) process using a limestone, hydrated lime, seawater, or other alkaline solution. 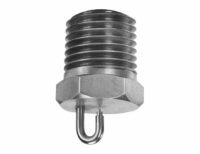 Spray nozzles are able to effectively and reliably distribute these slurries into absorption towers. 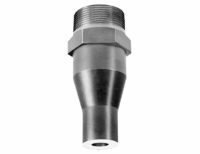 By creating uniform patterns of properly sized droplets, these nozzles are able to effectively create the surface area needed for proper absorption while minimising entrainment of the scrubbing solution into the flue gas. Many industrial process such as waste storage, incineration, waste water treatment, chemical processing, food processing, etc. contain organic and inorganic compounds that are capable of producing odours that are unpleasant and must be treated to make the work area and surrounding area acceptable. There are three categories of treatments that can be sprayed through nozzles to control the odour: coverants, deodorants, and absorbents. These treatment can be used in open type or packed bed type scrubber systems. Coverant: a coverant is a better-smelling substance sprayed to mask or hide the bad odour. Deodorant: a deodorant is a liquid used to to chemically change or break down the pungent molecules in an odoriferous area or air stream, effectively neutralising them. Absorbent: an absorbent is a liquid that actually absorbs the bad odour of a foul smelling gas stream into the liquid, reducing the potential odour of the remaining gas. Depending on the odour source, water can often be used as the absorbent liquid. In open type scrubber systems, BETE misting and air atomising nozzles are generally the most effective for odour control applications based on the fine drop size they produce, increasing the surface area there is to compete with, react, or absorb the odour to be controlled. 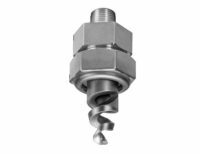 In packed bed type scrubber systems, BETE axial whirl nozzles are generally the most effective for achieving even distribution over the packing surface and ensuring no gas bypass through the packing. In packed bed scrubbers, scrubbing fluids are distributed over packing material in a column or vessel, creating a thin film of liquid on the packing. 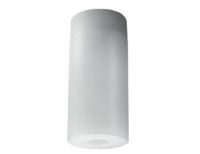 As the gas to be scrubbed passes upward through the packing material, it contacts the liquid film providing an opportunity for cooling and condensation or a chemical reaction to occur between the scrubbing liquid and the process gas. Packed bed scrubbers can vary widely in design and can be used in vertical or horizontal gas flow arrangements. 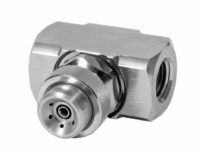 They can be used for multiple scrubbing applications and are particularly well suited for acids, inorganic gases, soluble gases, fume control, VOCs, and odour control among other applications. 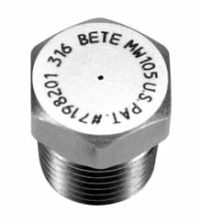 BETE spray nozzles can be used to evenly distribute scrubbing fluids over the packed beds to ensure even run-down through the packing and avoid any gas bypass through the scrubber. 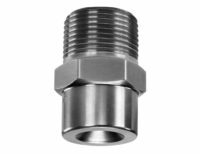 The ability to provide wide coverage areas from a single point allow spray nozzles to provide simpler piping designs and greater clog resistance over pan, trough, or tray distributors. 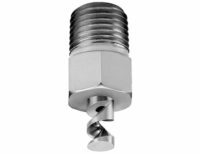 The ability of spray nozzles to provide a wide variety of spray patterns and be manufactured in almost any material, allow for them to be selected or custom designed for almost any packed bed scrubber application. Nitrous oxides (NOx) are formed by combustion in high-temperature environments, such as power plants and large diesel engines. NOx causes air pollution by reacting with air in the presence of UV light from sunlight to form ozone, the primary component of smog. Therefore, it is crucial to limit NOx emissions in applications that produce large quantities of these gases. 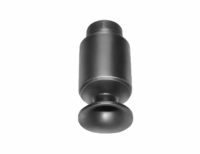 In both selective catalytic reduction (SCR) and selective non-catalytic reduction (SNCR), spray nozzles are used to inject a reagent or series of reagents into the exhaust gas to combine and react with the gas (and potentially a catalyst) to remove NOx from emissions. SCR uses ammonia as the reagent while SNCR uses either ammonia or urea injected at a high temperature. 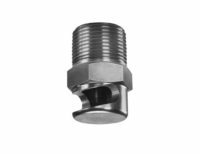 BETE spray nozzles are designed to maximise efficiency in SCR/SNCSR injection applications as they atomise and distributes the reagent into the process stream which increases the reaction surface area that combines and reacts with the NOx. 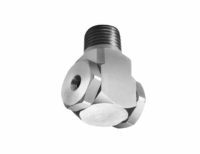 Spray nozzles coupled with BETE injection lances can distribute the reagents as evenly as possible within the process stream to ensure proper mixing and minimise bypass. 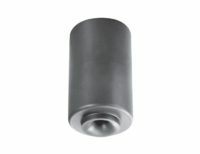 A Venturi scrubber is a wet-scrubbing process that uses direct contact between the gas to be scrubbed and the liquid agent. It derives its name from and utilises the Venturi effect, in which a fluid increases its velocity as the area through which it is flowing decreases. In Venturi scrubbing, the gas to be scrubbed flows through a duct that narrows in cross-section, therefore increasing the velocity of the gas. Water or other scrubbing fluids are usually sprayed axially into the narrowest section of the duct, known as the throat, with the spray sized to fit the cross section of the duct. 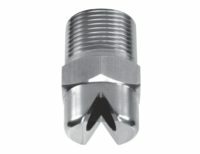 The shear forces applied to the droplets caused by the high velocity, turbulent air atomises the water quickly and provides effective mixing allowing for better gas to liquid contact. This condition causes highly efficient particle collection and can be used for certain gas scrubbing applications. 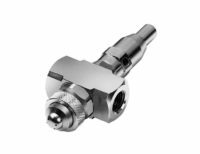 The high velocity axial spray can also be used to draw the gas stream through this scrubbing section, eliminating the need to additional gas moving fans or blowers. Downstream of the narrow section, the duct expands back to its original size and the liquid with the contaminants are removed from the gas stream and collected/filtered.